Salmon is a fish with great nutritional value; it is rich in omega-3 fatty acids and has a very high content of vitamin D. Still, even though I absolutely love fish, salmon is not one I would consciously go for. However, a friend of mine introduced me to a salmon recipe that completely made me change my mind. 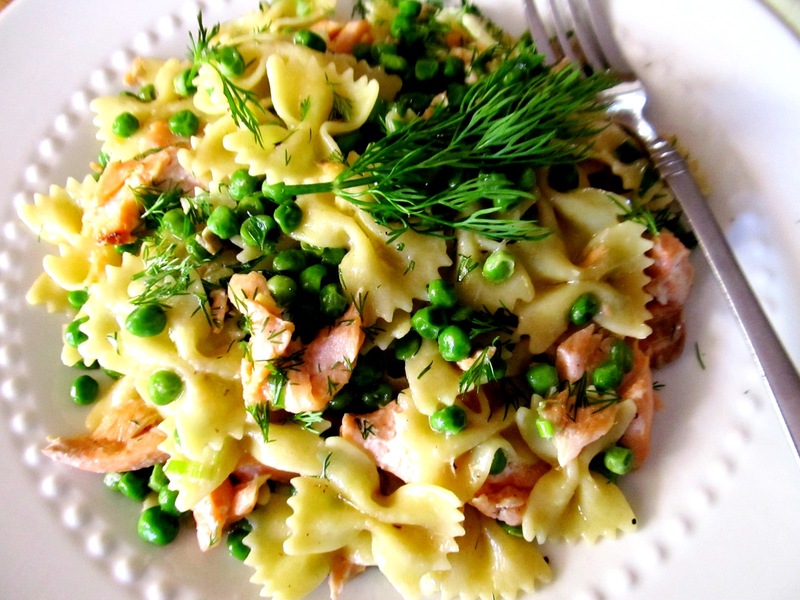 Salmon, vodka, cream and my favorite pasta, farfalle. A mix made in heaven! Accompany it with a glass of ice-cold white wine and you will feel like you are in wonderland of taste! 1. In a large pot with salted boiling water, cook the pasta, stirring occasionally, until al dente, and drain. While pasta is cooking prepare your sauce. 2. In a saucepan, add the olive oil and the spring onions and cook over moderate heat for 2-3 minutes. Add the vodka and let it cook for 1 minute so that the alcohol evaporates. 3. Add the fresh salmon cubes and cook for 3 minutes or until salmon turns pinky-white in color, stirring carefully without destroying the salmon pieces. Add the heavy cream and let it cook for further 4-5 minutes until sauce starts to thicken slightly. 4. Stir in the blue cheese and the pieces of smoked salmon. Taste your sauce and season with a touch of pepper and salt, if necessary. 5. Remove from the heat and stir in the chopped dill. Add the cooked pasta to your sauce and coat with the sauce. Transfer to pasta bowls, sprinkle chopped dill on top and serve while hot. Do not overdo it with the amount of vodka because you will end up with a bitter-tasting dish. If you don’t have vodka available, you can use either gin or white rum. The result will be equally nice. For a bit of extra color and vitamins, add half a cup of boiled peas just before adding your smoked salmon (step 4). 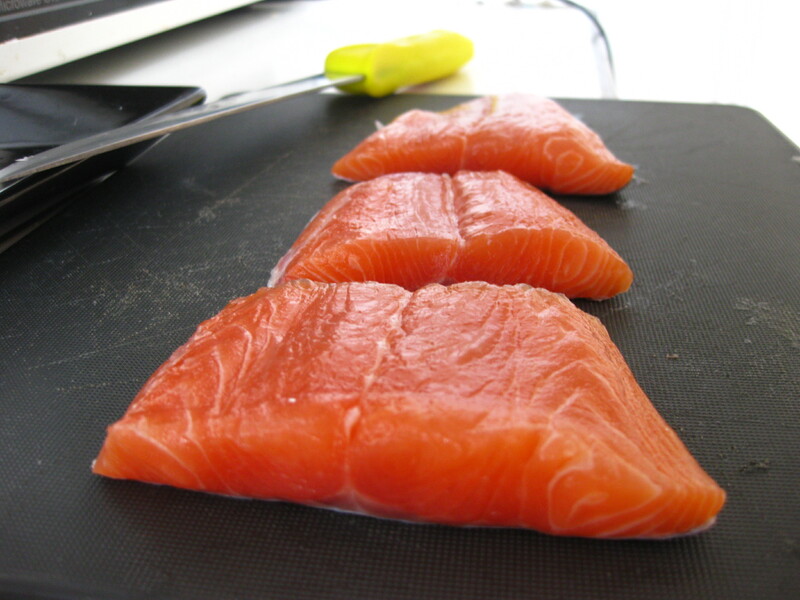 You can prepare the dish with smoked salmon only, just try to choose a not very salty smoked salmon or you will risk ending up with a very salty sauce. If dill is not your favorite herb, you can replace it with chives.